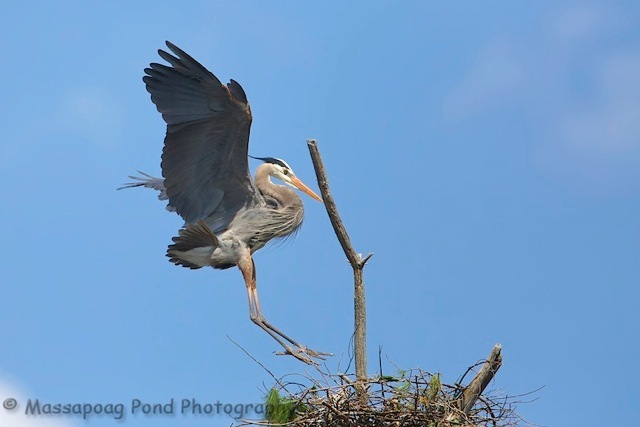 Evening folks…the heron rookery that I have been photographing for the past few years only has one active nest this year, as most of the trees have fallen. Over the weekend I explored another and this new one has 9 active nests and should be fun to photograph once the young have hatched…. It might even have a Pileated nest if I can find it! Evening folks…rainy day here on the pond, so I was going through photos on a hard drive and came across this photo. 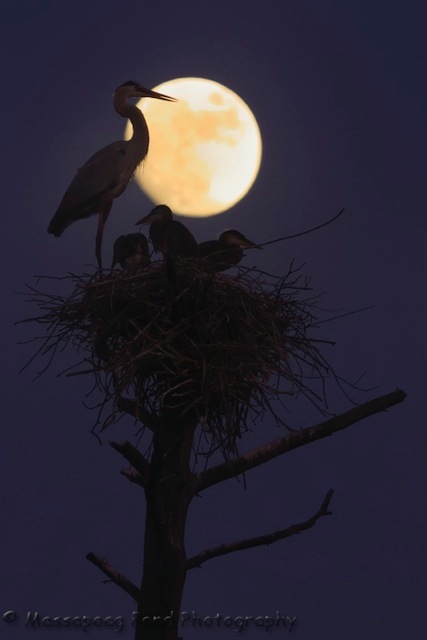 Some of you may have seen one taken from the same night as this one, Great Blue Heron nest silhouetted against the moon. This one is a slightly different pose from the one posted a few years back.